We all love to get stuff for free, which may help explain why cash back credit cards are so quickly rising in popularity. The thought of getting a little bit of money back every time you swipe your card is enough to make some folks positively giddy. 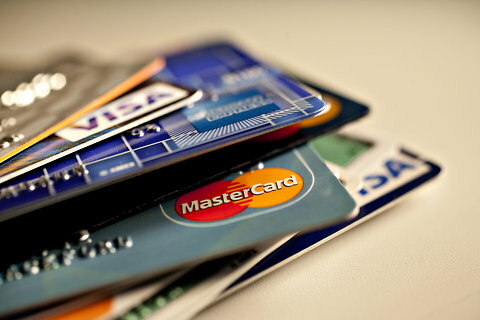 The question that has to be asked, though, is whether or not these types of credit cards are actually right for you. The answer lies in what you will be using the card for, and whether you will be using it often enough to make the benefits worthwhile. If you are looking to get a credit card to help build your credit and with an eye to paying it off or keeping a low monthly balance, then this might be a good way to go. If, on the other hand, you are simply looking to rack up cards to reap the benefits, you would be well advised to think twice. What generally ends up happening is that you make purchases to get the rewards, as opposed to making purchases that you need to. You can slip deeper and deeper into debt and have your credit rating negatively affected at the same time. Neither scenario is good. Each of the cash back credit cards that are currently out there have a different way of doing things. As is the case with any type of credit card, you need to take some time to scan the fine print in order to see if what you are getting is what you really want. For example, a card that advertises 3% cash back on purchases may seem like a great deal at first glance, but if you dig a little deeper you might just find that the percentage being offered is only for specific purchases. Some merchant credit card will actually boost the amount of cash you can earn during a specific time of the year like Amazon Black Friday. What you need to do is take a look at your expenses to see where the majority of your money is going. If you have a large family that eats you out of house and home on a regular basis, look for a card that pays a good percentage on grocery purchases. If you travel a lot for work look for higher gas rewards. It is possible to get a car that perfectly suits your spending habits. Doing that will allow you to get the very most out of your cash back rewards. Another thing to consider are the fees that could potentially be charged. Some cash back credit cards require you to pay an annual fee, while others expect you to spend X amount of dollars in a certain amount of time in order for the cash back feature to go into effect. Neither of these should be considered major reasons to steer clear of these types of cards, but it is always best to be aware of all the details before you sign on the dotted line. For example, let’s imagine that you were about to do a home improvement project that you wanted to fund via a credit card. You should be looking for something that offers the highest percentage cash back on the types of purchases that you will be making. The cards that require you to spend a certain amount in the first few months might be a better option than those that carry an annual fee in this particular case. You will likely have no problem hitting that amount almost immediately, and you will start earning cash, and perhaps even a bonus, the moment that. This is the type of scenario where cash back credit cards start to make some real sense. While cold, hard cash is the first option for many when looking at a rewards card, it is definitely not the only type available. The cash back credit cards with the highest percentage rewards are often the toughest to get, which may mean that you end up languishing down in the 1% or less zone. If that isn’t really enough to get you excited, you might look at other types of rewards. A merchant gift card combined with sprint promo codes will get you far more purchasing power than just cash if you are looking to upgrade your current phone. An air miles card is a great way to save for a vacation while you spend. Cards that deliver points that can be used to buy items from a catalog are also popular, but are really only worthwhile if the goods listed are actually things that you would use. We touched on a few of the things that you might encounter when using cash back credit cards, but there are other things to be on the lookout for. The number one issue that could become problematic is over spending in order to get the rewards. If you thinks this might be a problem for you or you’ve had credit card issues in the past, this may not be the best option for you. Be aware that some of the rewards may be capped at a certain amount, which means that money you spend over and above that will not be subject to the cash back benefits. Be aware of how some cards allow you to spend the money you have earned. Not all of them will send you a check, and others will only do so when you hit even amounts of money. For example, you might have $34 earned, but are unable to cash out until you hit $50. Taking the time to read the small print will help you avoid these types of things. Chase Freedom – Far and away the most popular cash back credit card on the market, and for good reason. Fraud monitoring is excellent, and they also rotate the rewards quarterly so that you are sure to get the biggest percentages on a little bit of everything at one time or another. Discover it – Very similar to the Chase Freedom card in that they regularly rotate the cash back categories. High percentages, too, which means your savings add up quickly. Discover it Chrome – A great card for those who regularly gas up and eat out. If you shop online regularly, you will be hard pressed to match the cash back percentages offered here. Blue Cash Preferred From American Express – Another card that is perfect for those who use a lot of gas and who shop regularly at supermarkets. This may be the best option for you if you have a large family.